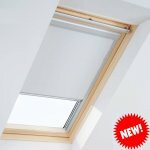 When specifying and ordering your Sunsquare skylight you will be offered the option of being supplied with a Sunsquare upstand. Upstands are an integral part of ensuring a skylight fits and fits well. They are the frames that a skylight sits on, creating enough height from the roof surface and enough pitch for the water to run off the skylight. Both are vital as a skylight is not meant to be submerged or have standing water or snow on it. Sunsquare customers that purchase one of our market-leading skylights or flat roof windows are offered the option of being supplied with a Sunsquare Upstand. We can manufacture bespoke Upstands just as we can skylights to take into account every possible roofing issue. All Upstands from Sunsquare are machine-made and computer calculated in our factory to ensure exact specification and accuracy for every individual project. The Upstand is delivered flat-packed, complete with instruction and all screws necessary to erect it. We even have an instructional YouTube video available. We estimate that over 10,000 Sunsquare Upstands have been manufactured and sold to our customers. To date, we have never had a single one returned or any report of an issue with one; that record speaks for itself! As a result, we find that our Upstands are very well received in the building and construction trade. They know that, providing a weathered Sunsquare Upstand is fitted, installing the skylight will take only a matter of minutes. It really, really helps a roofer or builder to get the job right first time. We also aim to deliver our Upstands within five working days, meaning that the roofer or builder can weather the roof in readiness for the skylight, ensuring that the entire roofing structure is safe and secure. 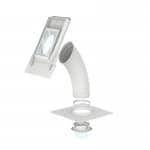 But Sunsquare Upstands don’t just sit there to help your skylight or roof window to look magnificent; they offer significant energy benefits too. All Sunsquare Upstands are fully insulated products with a U-value of 0.35 and zero per cent chance of dew. They are designed and made by us, in collaboration with Warren Insulation – the country’s leading specialist in this marketplace. The insulating foam that forms the core of the Upstand is a highly sophisticated chemical compound foam that has been tested to take into account all possible situations on flat roofs worldwide. While some companies opt to sell their skylights with integral Upstands, we fit ours separately to ensure that in the unlikely event there was a problem with the skylight or roof membrane, you can detach the skylight or roof window for repair without damaging and compromising the entire structure. Another problem with integral Upstands is that the desired and, indeed, called for height by building regulations of 150mm at the lowest point from a flat roof, is not achieved. We sometimes get people who feel the cost of a Sunsquare Upstand is too high – starting at £200. But to get materials, cut, splice and work out exact falls is many hours’ work. When you consider the average roofer charges more than £200-a-day in labour alone, to create an Upstand by hand would be in excess of five hours; a complete false economy! You can purchase a Sunsquare Upstand with any of our skylights safe in the knowledge that it’s a hassle-free, accurate and building regulations-sensitive way of ensuring your roof window fits properly, at the right angle, and with no possibility of future issues. Failure to do so could be extremely costly indeed.